Mwatana for Human Rights, established in April 2013, is an independent Yemeni organization dedicated to defending and protecting human rights. Mwatana operates by carrying out accurate and objective field investigations and research in order to detect and stop human rights violations. The Columbia Law School Human Rights Clinic works in partnership with civil society organizations and communities to advance human rights around the world and educates the next generation of social justice advocates. The clinic conduct fact-finding, legal and policy analysis, litigation, trainings and advocacy. Cairo Institute for Human Rights Studies, founded in 1993, is an independent regional non-governmental organization which aims to promote respect for human rights and democracy in the Arab region. A key component of CIHRS’ mandate is to help shape the understanding of and discourse around the most pressing human rights issues in the Arab region. CIHRS enjoys consultative status with the United Nations ECOSOC and observer status with the African Commission for Human and Peoples’ Rights. CIHRS is also a member of the Euro-Mediterranean Human Rights Network (EMHRN) and of the International Freedom of Expression Exchange (IFEX). International Federation for Human Rights (FIDH) takes action for the protection of victims of human rights violations, for the prevention of violations and to bring perpetrators to justice. FIDH was established in 1922, and today unites 184 member organisations in 112 countries around the world. FIDH coordinates and supports their activities and provides them with a voice at the international level. Like its member organisations, FIDH is not linked to any party or religion and is independent of all governments. The Gulf Centre for Human Rights (GCHR) The Gulf Centre for Human Rights (GCHR) is an independent, non-profit NGO founded in April 2011.GCHR provides support and protection to human rights defenders in the Gulf region and neighbouring countries in order to promote human rights, including but not limited to freedom of expression, association and peaceful assembly. Mwatana for Human Rights (Mwatana), the Columbia Law School Human Rights Clinic (the clinic), Cairo Institute for Human Rights Studies (CIHRS), International Federation for Human Rights (FIDH), and the Gulf Centre for Human Rights (GCHR) submit this report to inform the examination of Yemen during its third Universal Periodic Review (UPR). This submission focuses on international human rights and humanitarian law violations by the Government of Yemen and by the armed group Ansar Allah (the Houthis). Since Yemen’s last UPR review in 2014, armed conflict has overtaken most of the country after Houthi forces seized the capital of Sana’a on 21 September 2014. Allied with former Yemeni President Ali Abdullah Saleh, they gradually expanded their control since march 2014. Following a letter from President Abd-Rabbu Mansour Hadi requesting intervention, Saudi Arabia, leading a coalition of nine Arab countries, and with the support of the U.S. and other western nations, initiated military operations against the Houthi-Saleh forces on 26 March 2015. The conflict has taken a terrible toll on civilians and thousands of Yemeni civilians have been killed and injured as a result of the fighting. Mwatana has documented 534 civilian deaths and 524 injuries in 2017 alone. 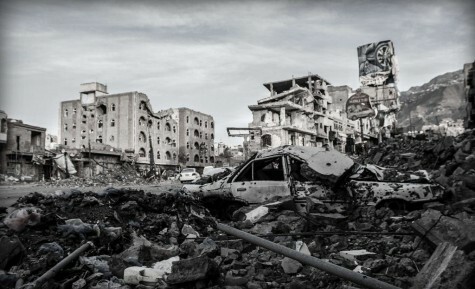 Carried out with the consent of the Yemeni Government, Saudi-led airstrikes have killed and injured thousands of civilians and destroyed civilian infrastructure, raising serious concerns about international law violations. Houthi-Saleh forces also carried out attacks harming Yemeni civilians, and have destroyed homes and hospitals, resulting in significant loss of life. The humanitarian access restrictions by Houthi-Saleh forces and the Saudi-led coalition have had a devastating effect on the ability of Yemenis to access food, medicine, and fuel. The widespread destruction of civilian objects, including hospitals, schools, and economic infrastructure, has contributed to devastating humanitarian consequences, including a cholera epidemic and famine risk. In addition, Houthi-Saleh forces, the Yemeni government, the United Arab Emirates (UAE), and UAE-backed Yemeni forces have arbitrarily detained, tortured, forcibly disappeared Yemeni civilians, including children. In its 2014 UPR review, the Government of Yemen accepted recommendations to ensure that the actions of its security forces were brought into line with international law and that security forces and non-state actors responsible for human rights abuses were investigated and prosecuted. Since then, as documented in this report, violations by security forces and non-state actors have only increased, as has widespread impunity. This submission first sets out violations by the Government of Yemen in government-controlled territory in section II. In section III it sets out violations and abuses by the Houthi-Saleh led forces. Section IV includes recommendations, and section V sets out questions which member states could pose to the Yemeni Government. For the full report click above on "Download File"